When network performance fell at a major North American hospital, it was a sign that years of IT security neglect had led to serious problems. 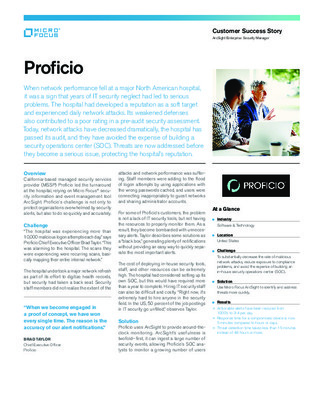 The hospital had developed a reputation as a soft target and experienced daily network attacks. Read this case study to learn how this hospital went from being bombarded with cyberattacks to addressing threats before they become a serious issue.